Ann stone writes a semi-autobiography fused with quotes and poems through her inspiring new book. 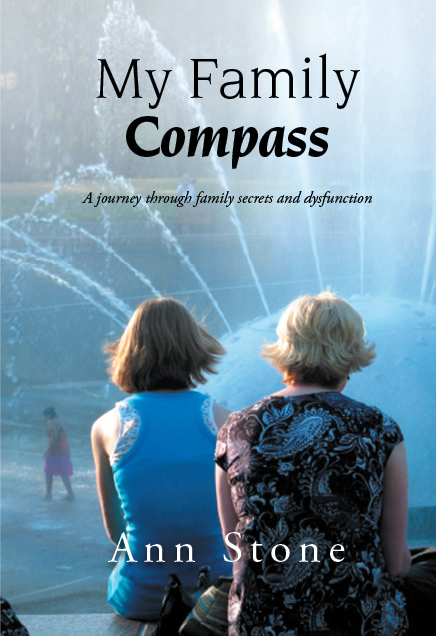 My Family Compass is about a family and the threatening dark secrets that revolve around them. Stone candidly shares chronicles of her family’s journey into the abyss of deception, greed, loss, and delusional entitlements. In a series of honest accounts, she tells readers how her mother has caused them pain in the family, leaving their family in wake of disbelief and disillusion. Throughout this book, the author shares with the readers how behavior filled with secrets, lies and deception can afflict several generations—that is unless the act is revealed, dealt with, and understood with love and compassion. She aims to let the readers, especially those who are suffering with the same problem, know that they are not alone. How will Stone and her family survive through the web of pain and deceit? Find out between the covers of My Family Compass.